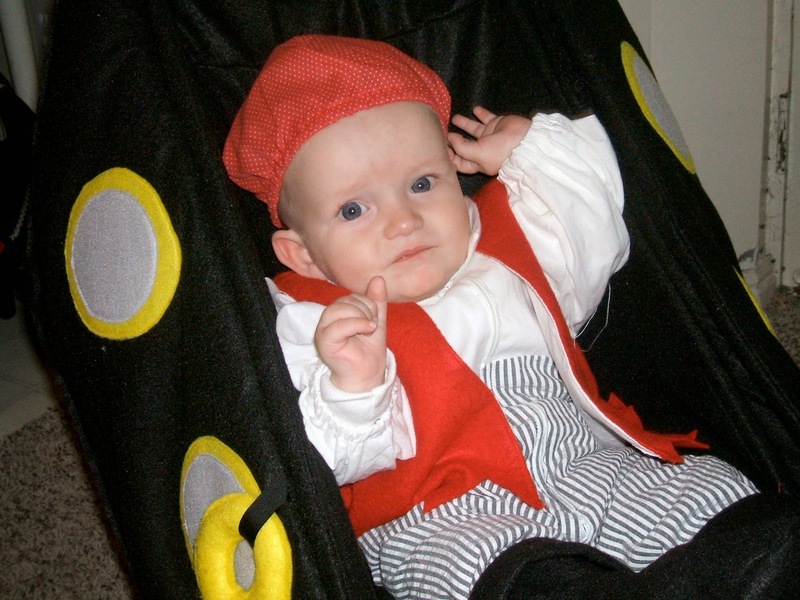 I thought since today is the first of October and my first October having this blog it would be fun to show some pictures of halloween costumes that I have made for my kids in the past. I have not made their costumes every year, in fact I am not making costumes this year. At least not for the 3 oldest. We bought them costumes to wear to Comic Con a month ago with the understanding that they would be wearing those for halloween as well. I haven't decided yet whether I will make costumes for the little girls this year. Even though I have not made their costumes every year I love making halloween costumes. 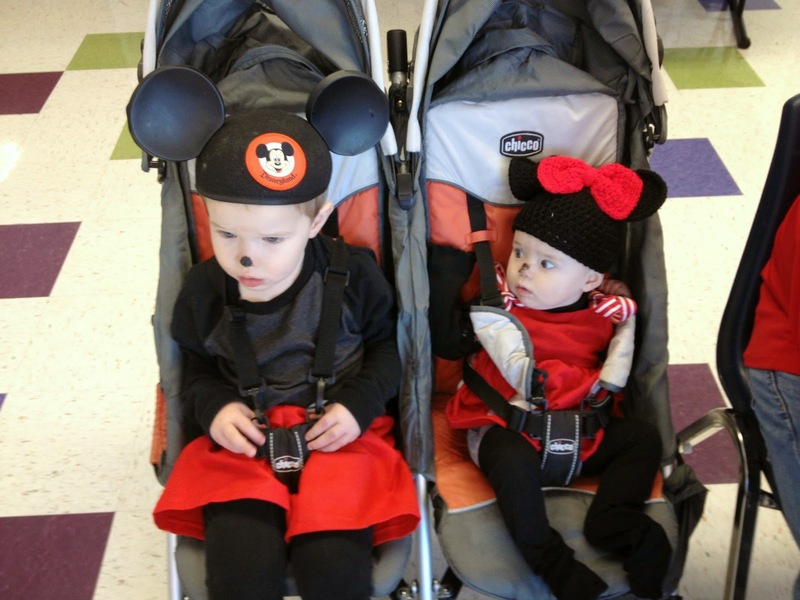 I think it is so fun to have costumes that are not the same as every other kid out there. 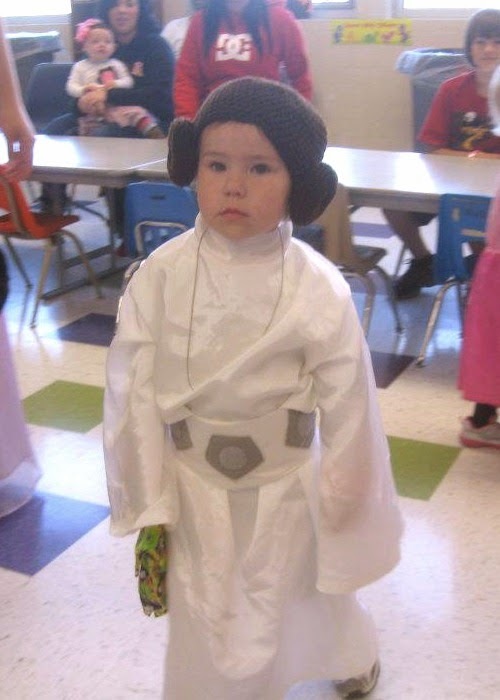 Even though they might not be the only Jedi or Dorothy in their school parade their costume will still be unique, no one else will have the same one. I have loved doing theme costumes but I think we might be running out of years where that will work. Another thing that I like about sewing halloween costumes is that they really don't need to be perfect, they are just a costume, not something that will be worn all the time. I can just cut and sew and make it work. I know some of the pictures are not the greatest, a little blurry and dark, but they are what I have so without further ado, let's get on to the costumes. 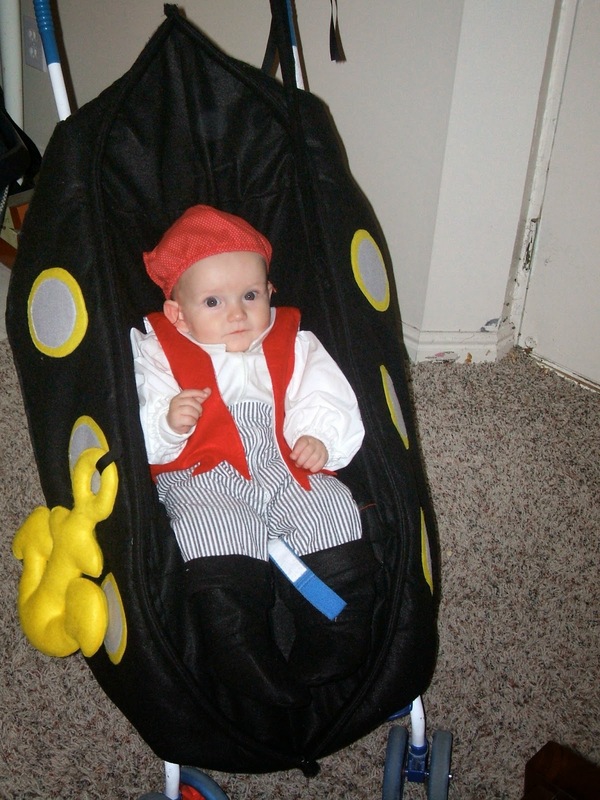 I loved the little pirate ship stroller cover. 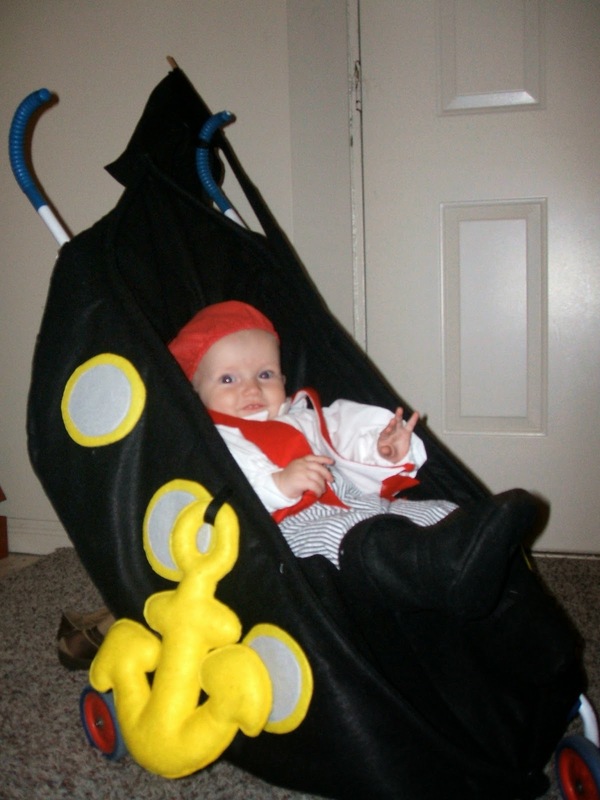 I thought it was such a fun idea for a baby costume. It was by far the most complicated costume I have made and the only one that I have used a pattern for so far. I thought it turned out pretty adorable. Doesn't hurt that he was an awfully cute baby. The next two years I did not make any costumes, the first I had a brand new baby and the next I don't really know what my excuse was, I just didn't get around to it I guess. 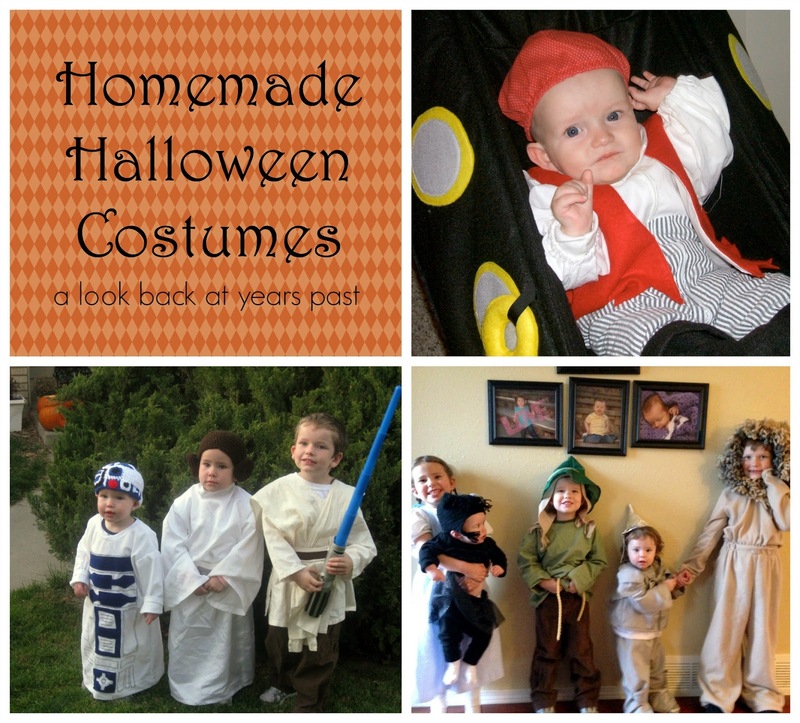 The year after that I still didn't make the kids halloween costumes but I did make a little Jedi costume for my son. 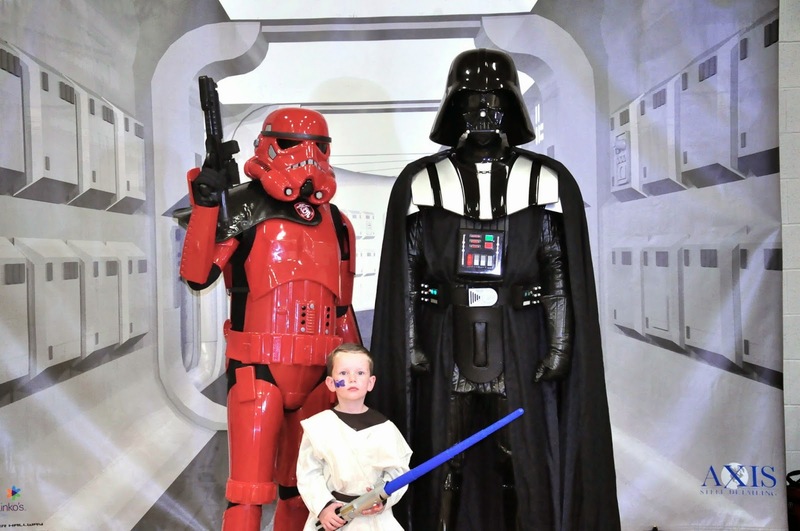 We had already bought a Wolverine costume for him but his school has a Fall Festival every year and that year they had some Star Wars people coming to take pictures with the kids. At the last minute, literally, I think it was the night before, I decided to make a Star Wars costume for my son to wear. Here is a picture from that night. Like I said, he already had a costume for that year so he didn't end up wearing that for halloween but that costume was the inspiration for the next years halloween costumes. I decided that I wanted to do matching costumes and we were able to convince the kids by telling my daughter that she would get to be a princess. I wanted to do Yoda instead of R2D2 but my older son insisted that his little brother needed to be R2D2. 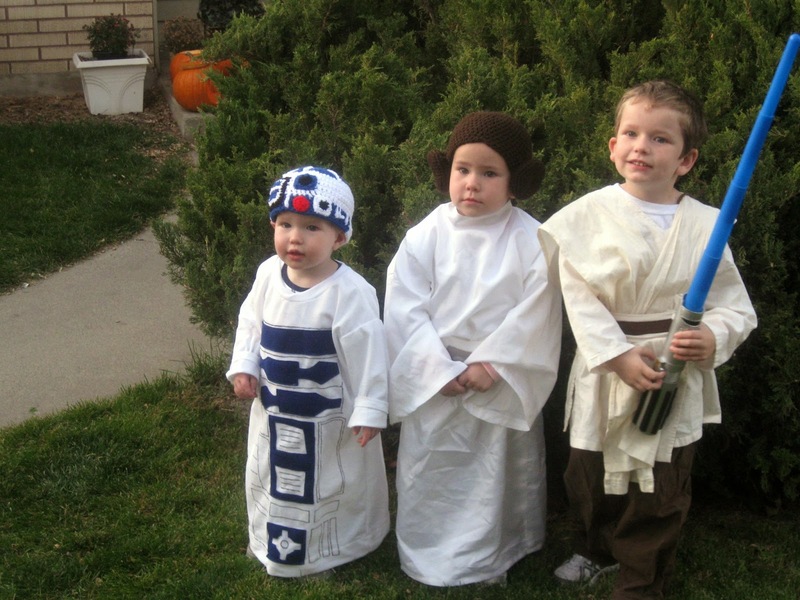 The Jedi and Leia costumes were made by chopping into some fabric and hoping it worked out. Well, the pants for the Jedi costume I think I used a pj pants pattern to make. The R2D2 costume is essentially a really long t-shirt. I used blue felt and a Sharpie marker to make the design on the front. 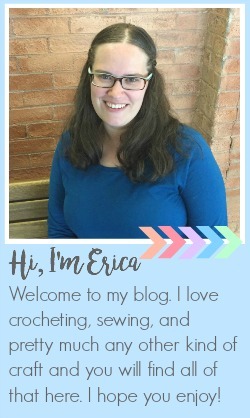 The two hats, the Leia buns wig and the R2D2 top, were both crocheted. The Leia wig I just made up. The R2D2 hat I made using this pattern as a guide but adapting it to fit a toddler. The next year the two oldest used store bought costumes again but I sort of made/put together the costumes for the two youngest. 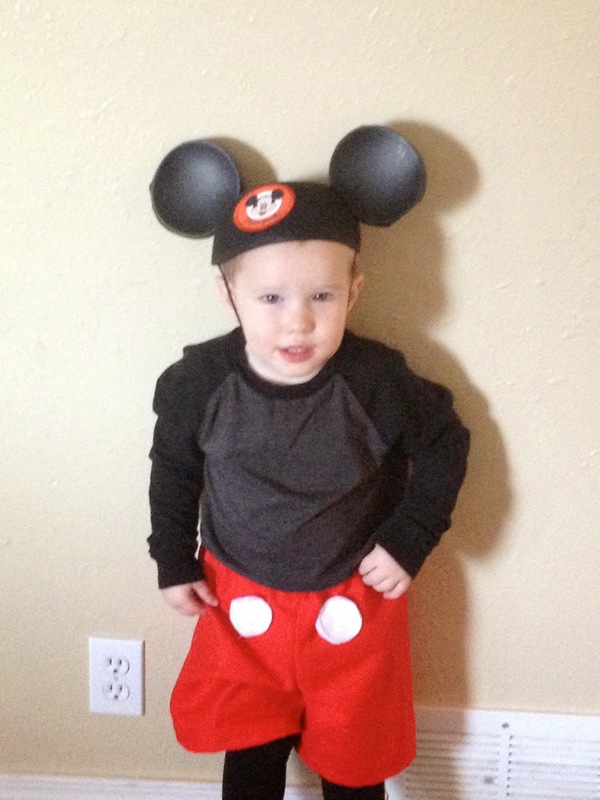 My younger son was really into Mickey Mouse and said he wanted to be Mickey for halloween. We looked at costumes but I decided that we could throw one together really easily. All I made was a pair of red shorts with big white button spots sewn on. We used ears from Disneyland, luckily for us he has a brother who would only get the black ears because that is what color Mickey's ears are, the shirt was his older brothers but we just made it work, and to finish off the look we put some of his older sister's black leggings on under his shorts. I thought about making big yellow feet but it never happened. That was probably the easiest costume ever. 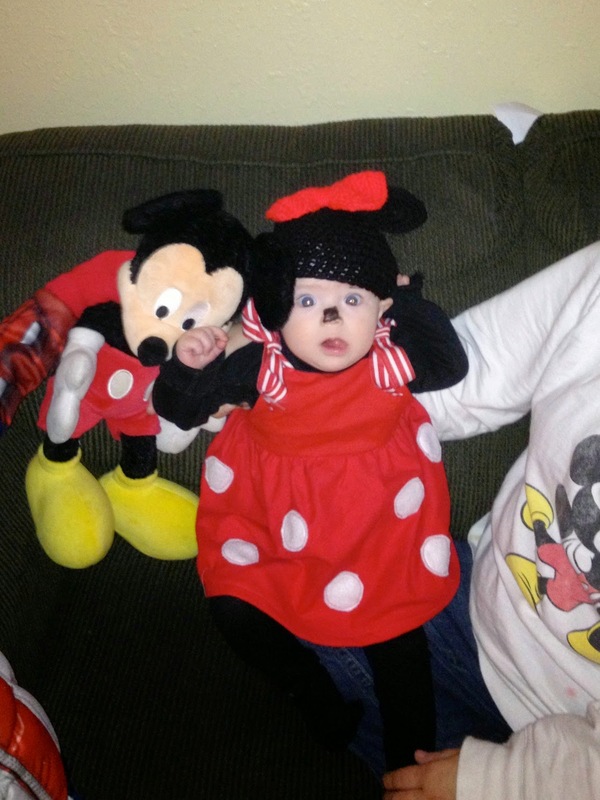 Now we needed a costume for baby sister and since we had a Mickey, Minnie seemed like an obvious choice. I crocheted a Minnie ear hat for her and made a little red jumper that tied at the shoulder to make it really easy. I sewed some big white felt polka dots on the skirt, added a black turtleneck that we already had and some black tights and we were done. Now we are to last halloween. I really wanted to do a theme again where everyone's costumes went together. 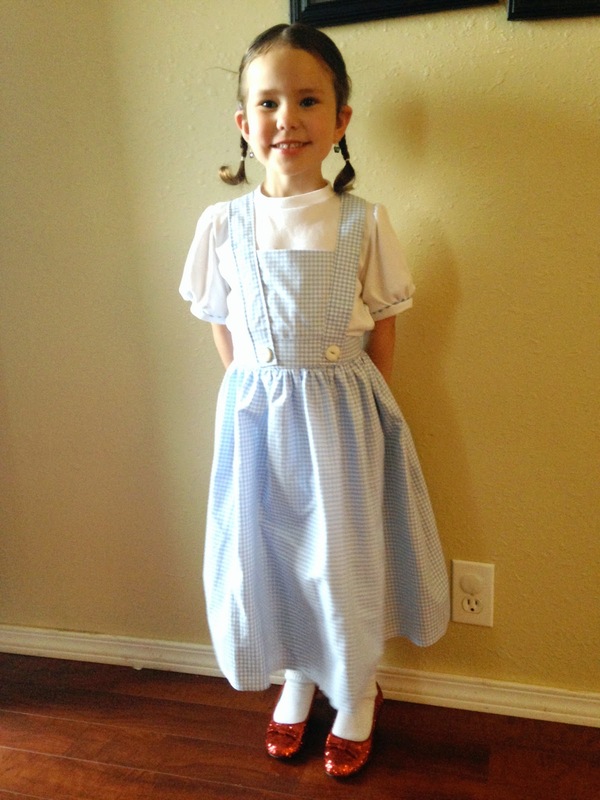 We thought about Frozen but ended up settling on the Wizard of Oz. We happened to go to McDonalds when they had Wizard of Oz toys and that was enough for me to convince the kids that we should do it. That, and my two oldest kids saw this version at school and thought it was really cool since they are both deaf. 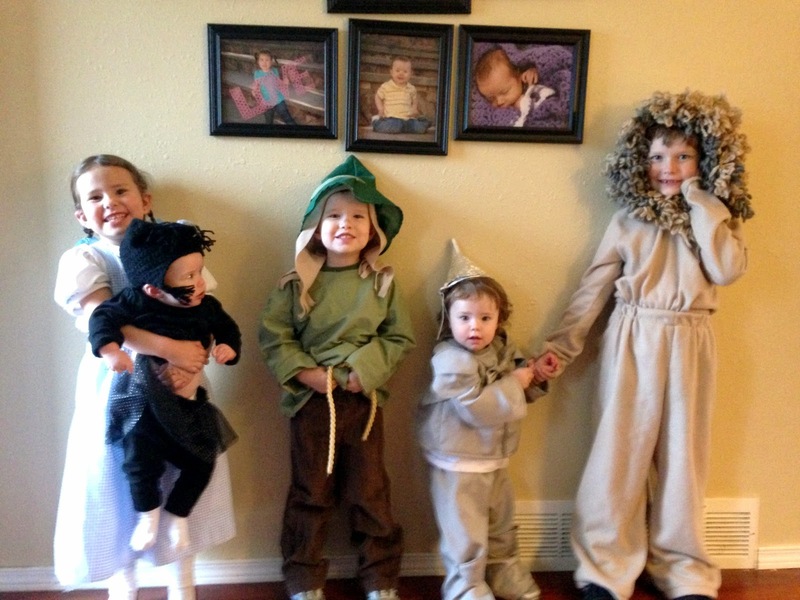 The boys dressed up as the Lion and the Scarecrow, the girls were Dorothy, the Tin Man and Toto. This was a fun theme to do for halloween because it was easy to find enough different characters for every one to be, although technically I guess we had one little cross-dresser. 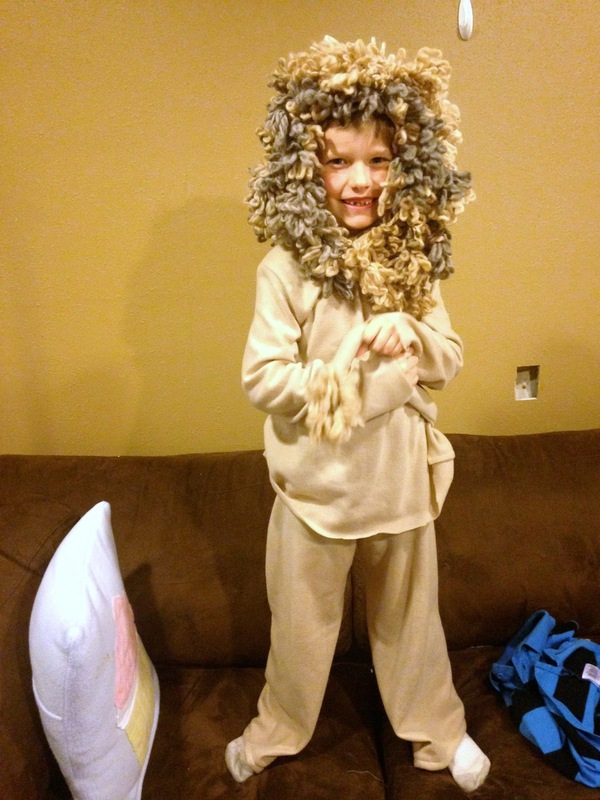 The Lion costume was basically sweatpants and a hooded sweatshirt made from tan fleece (that was the color that I could find for really cheap and I didn't want to spend a lot on a halloween costume), with a tail sewn into the pants and some loopy yarn sewn around the hood for the mane. For Dorothy I made a blue and white checked jumper, again no pattern which unfortunately meant it was a little snug to get on but once it was on it fit fine. I made a white t-shirt with big puffed sleeves with some blue rick rack sewn in between the sleeve and the ribbing. We bought some sparkly red shoes for her to finish of her costume. The Scarecrow costume consisted of a very simple green tunic with some rope tied around the waist. We reused the brown Jedi pants and I made a pointy green hat and a hood using some leftover fleece from the Lion that I cut on the end to make it look like straw around his neck. 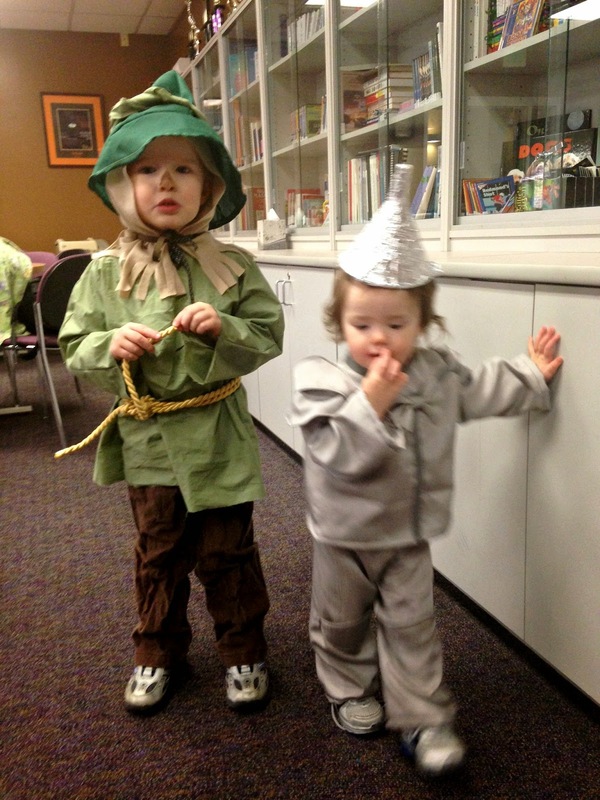 The Tin Man was the one I was most worried about trying to make. 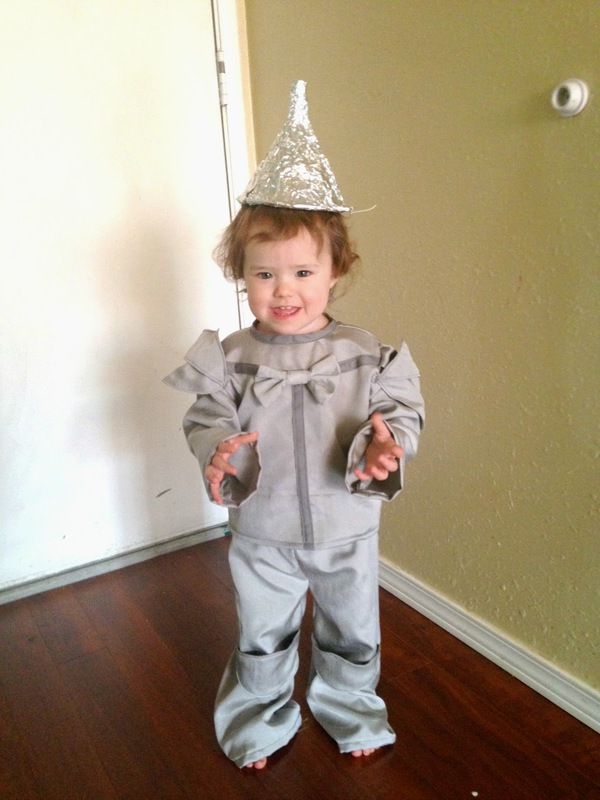 I found some cheap silvery colored fabric on clearance to make the outfit. It was very much a figure it out as you go along type project. In the end I think it turned out okay. For the hat we covered a funnel with foil. It had a hole on one side so I poked a hole on the other side and strung some skinny elastic through to help hold it on her head. Last but not least is little Toto. The only part of this costume that I made was the hat. Making a hat that looks like a little terrier was not easy and I didn't love how it turned out but it worked and with the other costumes most people could tell what she was supposed to be. 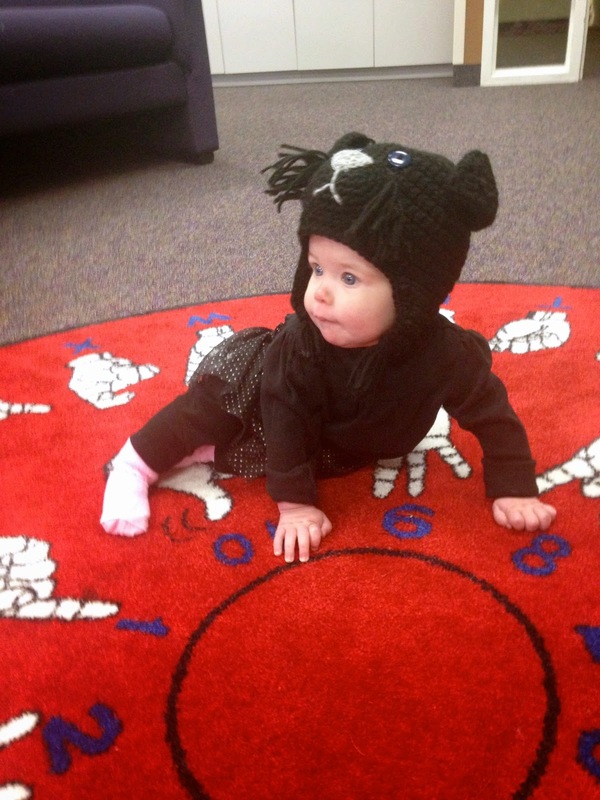 We did have several people think she was a kitty cat. And there you have it, all of the costumes that I have made since having kids. If I decide to make any costumes this year I will share them here. I will most likely end up making at least one for my baby but we'll see.